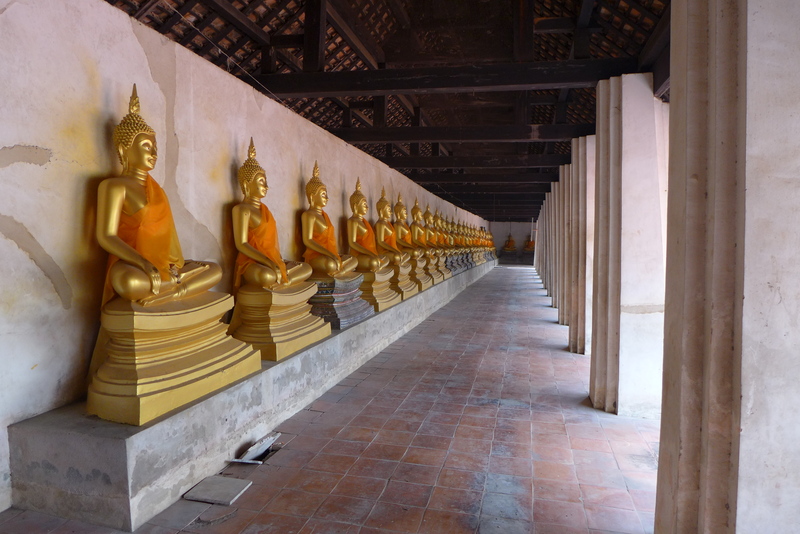 Our second day in Ayutthaya is another day of more temple touring. Not that I’m complaining… For today, we hired a private tuk tuk guide to tour us around the temples. Our first stop was Wat Yai Chai Mongkol. 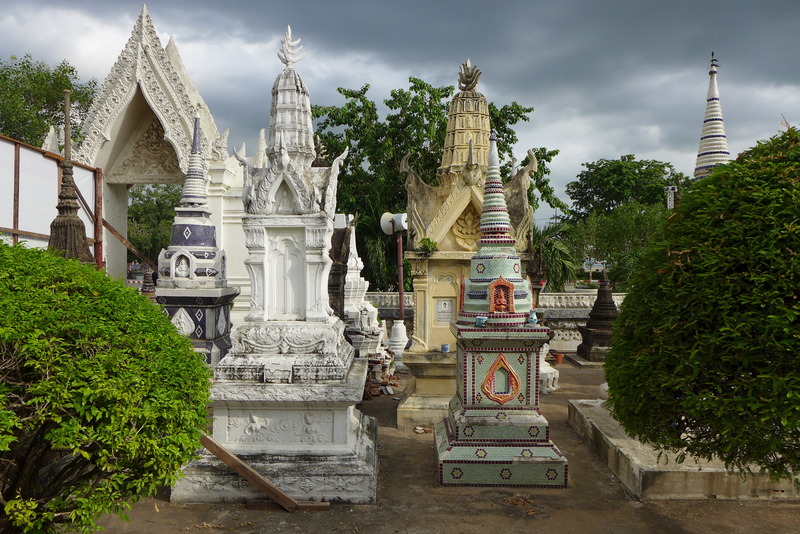 This temple is well-maintained and had several attractions to enjoy. You can even go walk up the temple and view the surroundings. 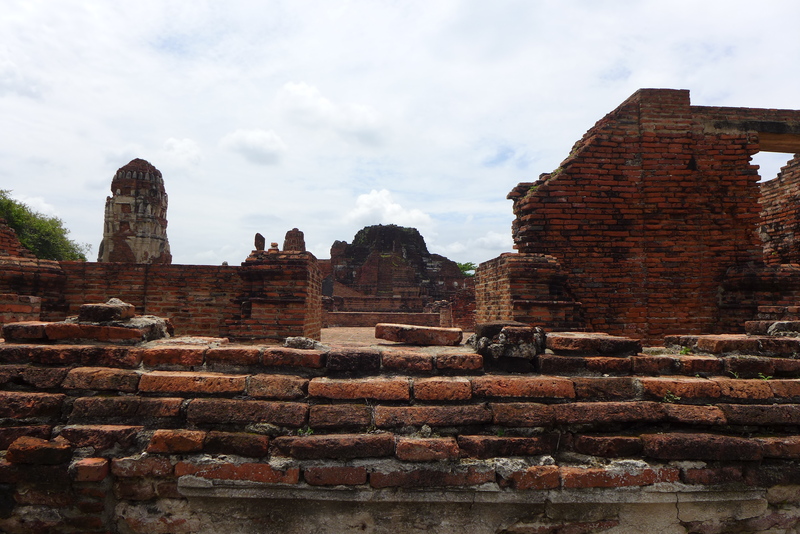 Next was Wat Mahathat. 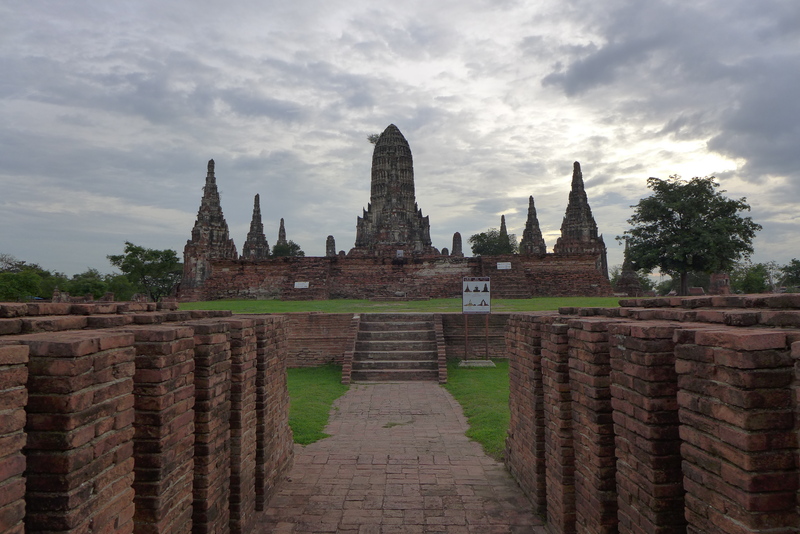 Probably one of the more well-known temples to visit and is a must-see when you’re in Ayutthaya. 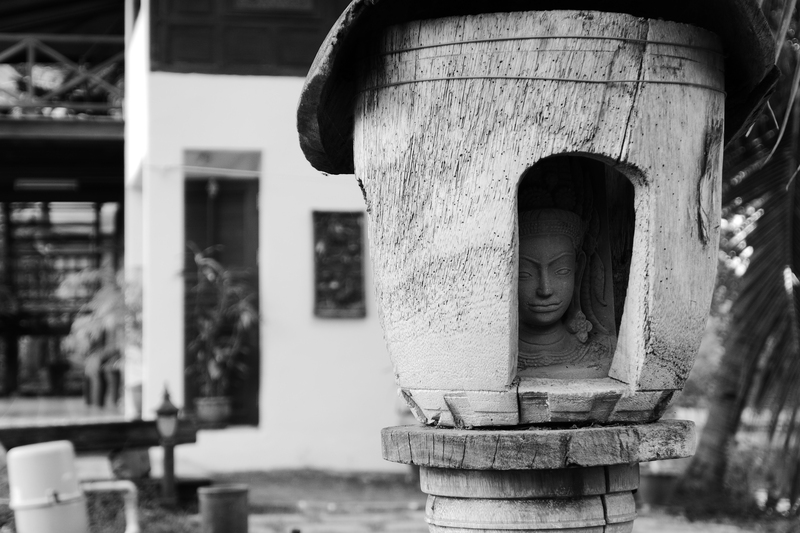 Don’t forget to check out the large Buddha head that’s enveloped by a tree. We also passed by Wat Na Phra Men. One of their active temples inside the Historical Park. 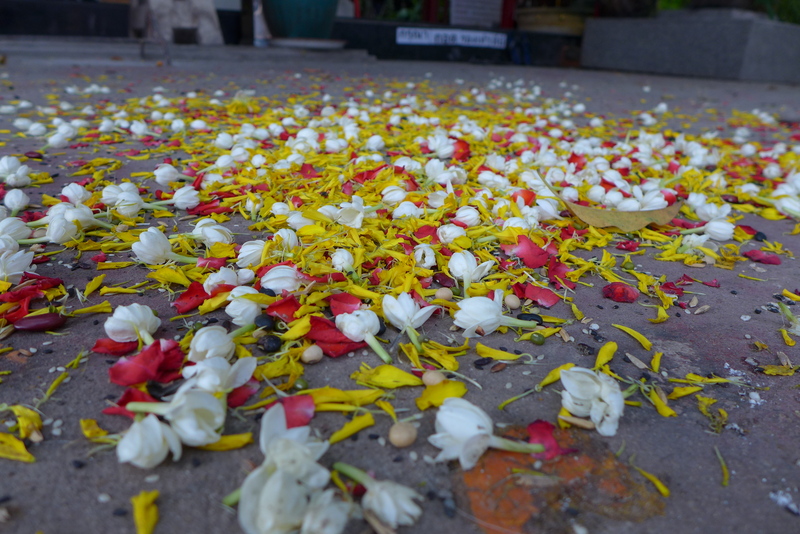 Our fourth stop was Wat Lokkayasutharam. 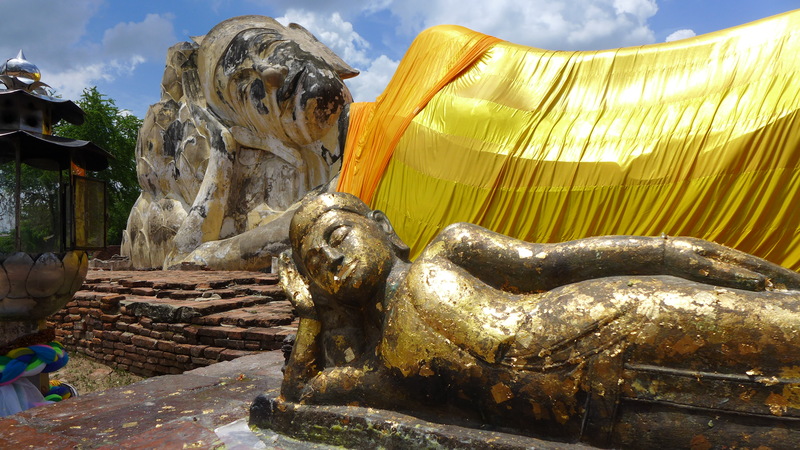 The main feature of this place is the large outdoor reclining Buddha. On a side note, we had an accident before we reached this destination. Our tuk tuk abruptly braked when a motorcycle backed in front of us. My girlfriend hit her left side on the metal railing of our tuk tuk. At that moment, I panicked and thought we would be ending our trip short. Thank goodness she just ended up having a bruised arm and a bit of bleeding in her mouth. No broken tooth and all… Phew! 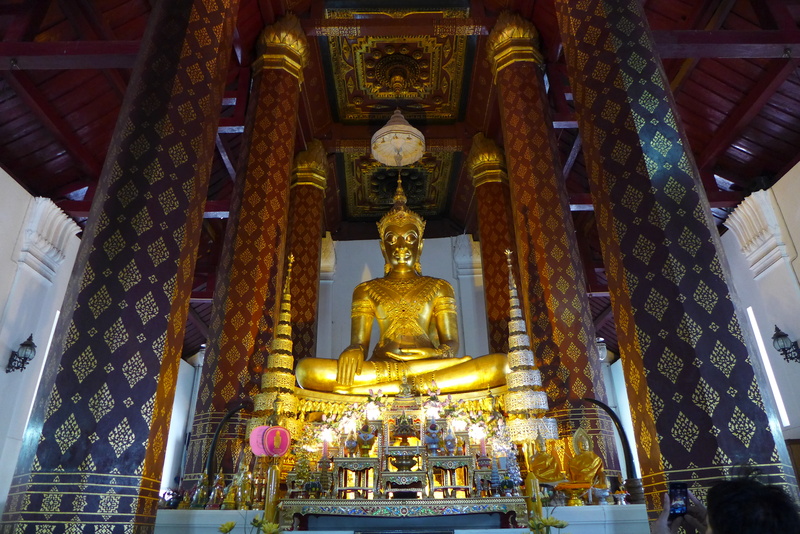 We rested for a bit to recover and moved to our fifth stop – Wat Mongkhon Bophit. This was probably the temple I liked the least. I prefer old “ruined” temples over modern looking ones. 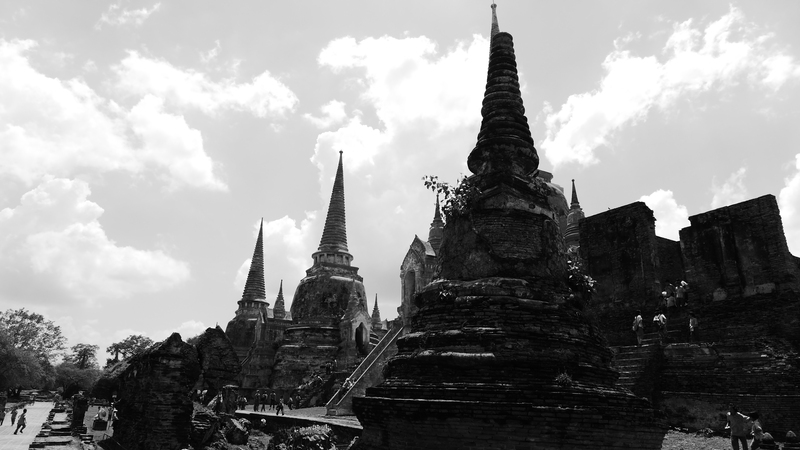 Our last stop was Wat Phra Si Sanphet. Most of the structures seemed to have been restored to it’s old beauty. I could just imagine how much more beautiful it could have been if it was in it’s original form. 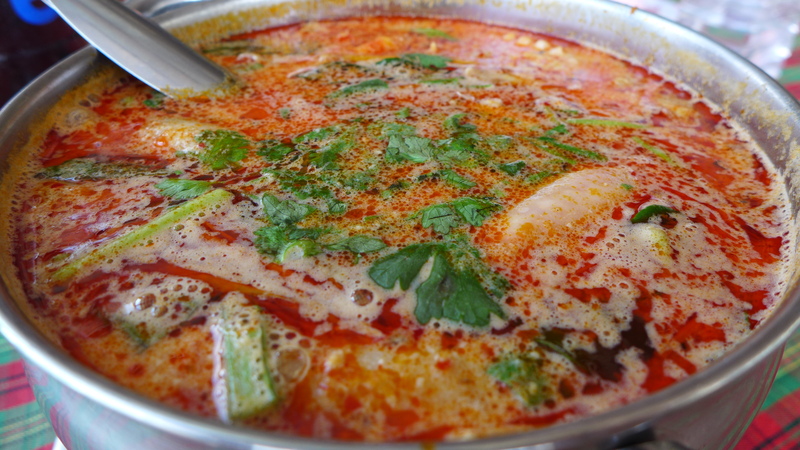 After our lunch, we went back to Baan Thai House. Dipped a bit in their pool before having our traditional Thai massage. By this time, the weather was getting rainy. We had a few drinks at night and even had a bicycling fiasco. I guess that’s another story to tell. 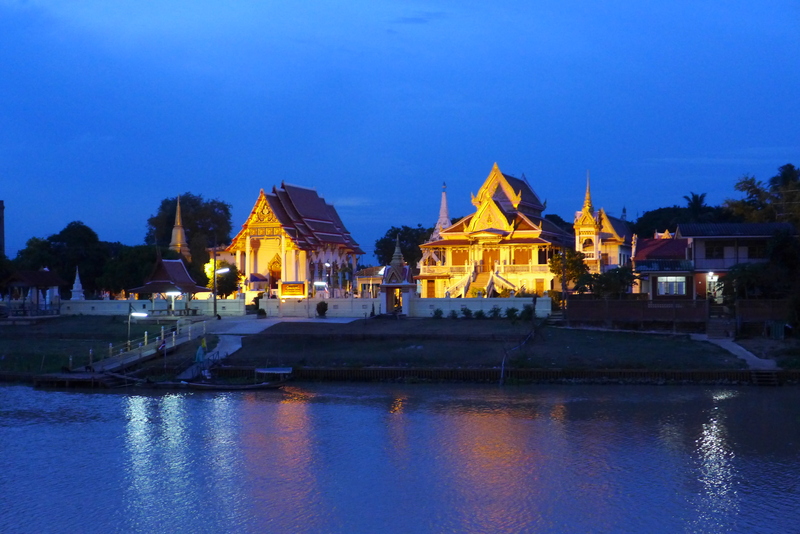 This wraps our last day in Ayutthaya as we’re moving back to Bangkok tomorrow. This place definitely has it’s unique charm! Definitely one of my favorite destinations so far. 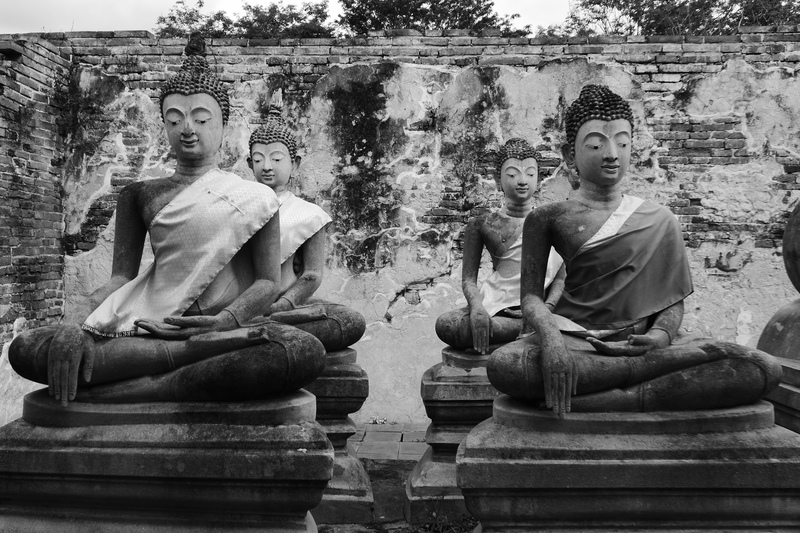 When I first visited Cambodia in 2011, I was inspired to see more ancient temples similar to those in Siem Reap. 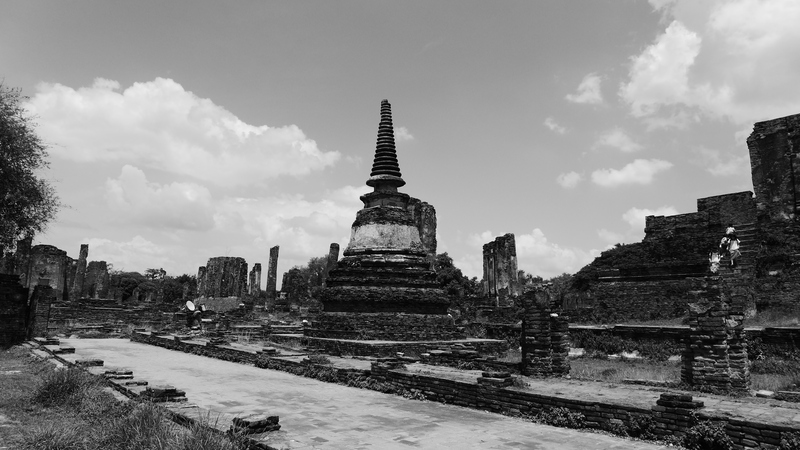 After careful research and what my budget permitted, I decided to visit the ancient city of Ayutthaya which was just a stone’s throw away from Thailand‘s capital city of Bangkok. 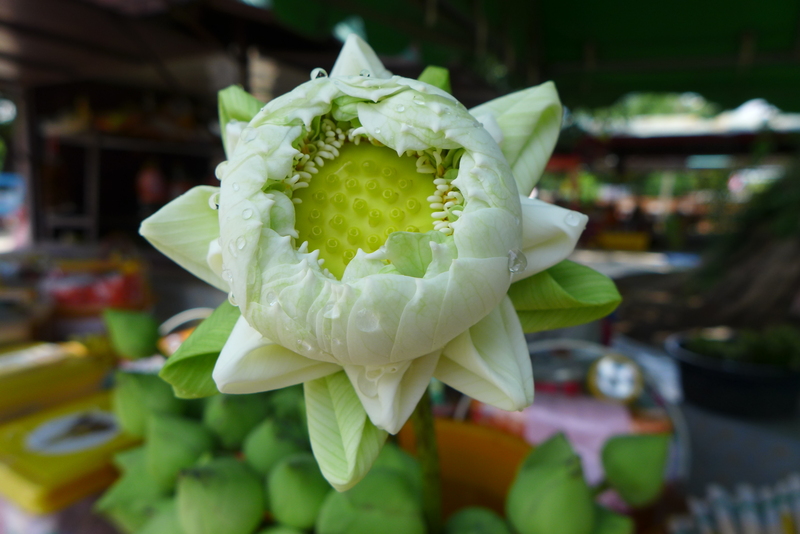 For numerous reasons, our trip to Thailand seemed to be the perfect choice for us back then. This trip marked my 3rd time in Thailand. Our trip starts once we arrived in Suvarnabhumi Airport. 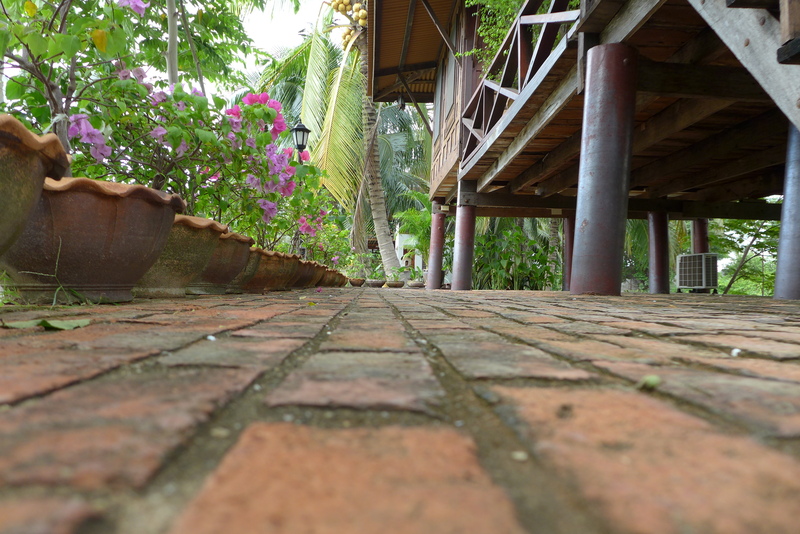 From there, we traveled around 2 hours by land to Ayutthaya. 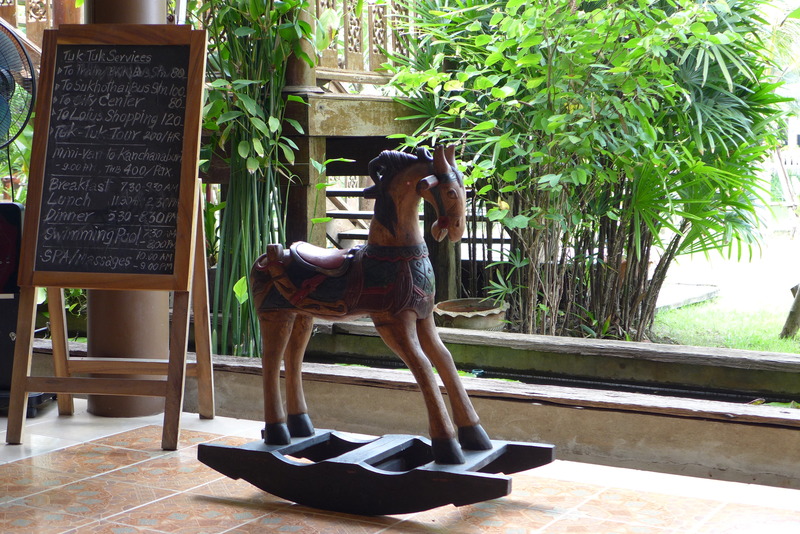 Our first stop was to check-in at Baan Thai House. 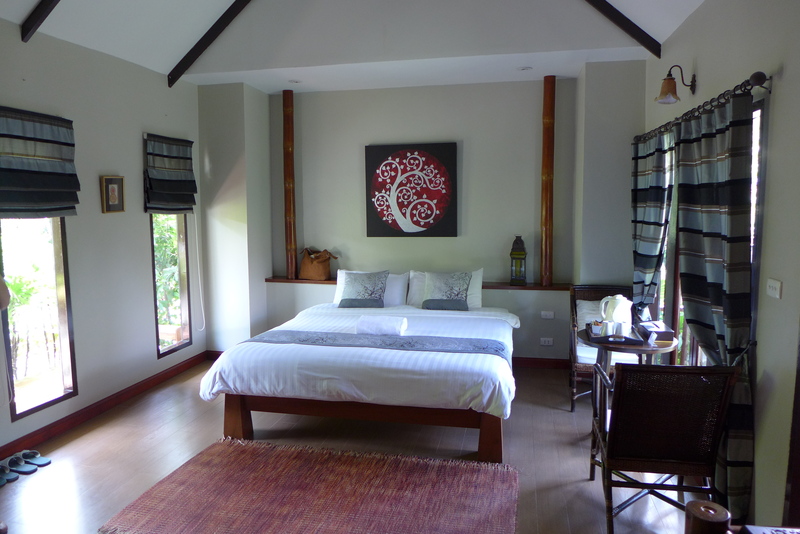 We booked their Deluxe Lake Villa which has a nice view overlooking the grounds. We were able to meet the owner Leena who has been helpful to us even before we arrived in Thailand. This place is definitely a true gem! 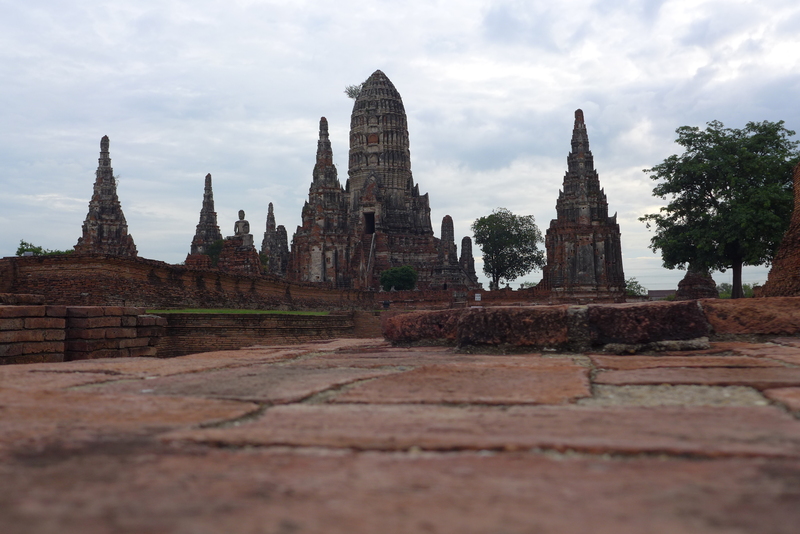 I recommend that you stay here if you plan to visit Ayutthaya. 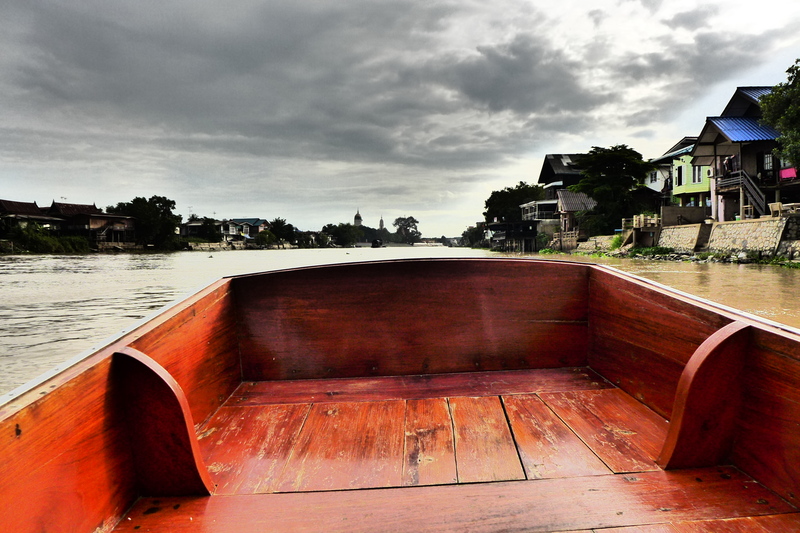 After we settled, we decided to join a boat tour which we were fortunate enough to book late in the afternoon. We were lucky that there was no one else on the tour so we had the boat all to ourselves. Our first stop was Wat Phanan Choeng. 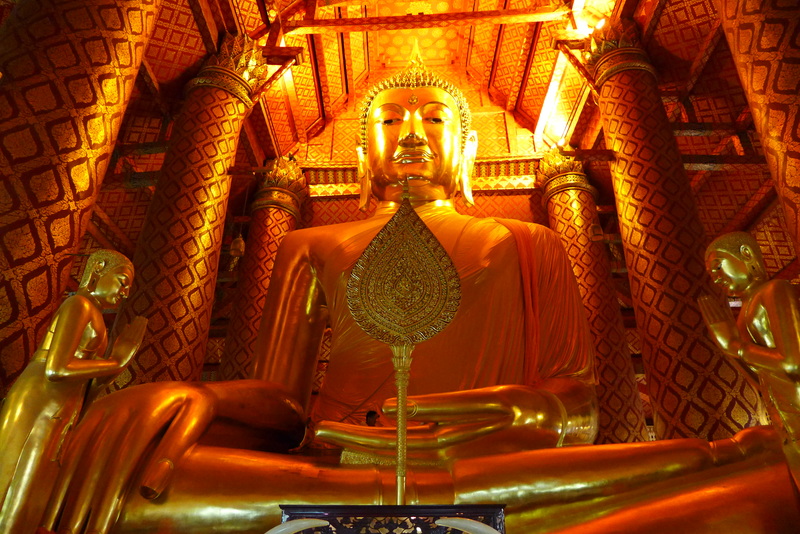 The highlight of this temple is the large golden buddha statue. 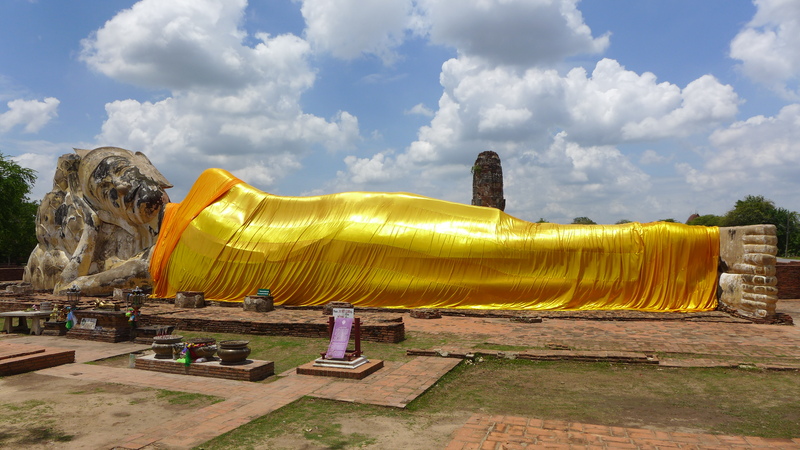 Next was Wat Phutthaisawan which featured an outdoor reclining buddha. The grounds also contained several statues lined up together. Lastly, the highlight of our first day was Wat Chaiwatthanaram. It was unfortunate that we did not enter the grounds as there was an entrance fee. This temple is probably the best if not one of my favorites during this trip. 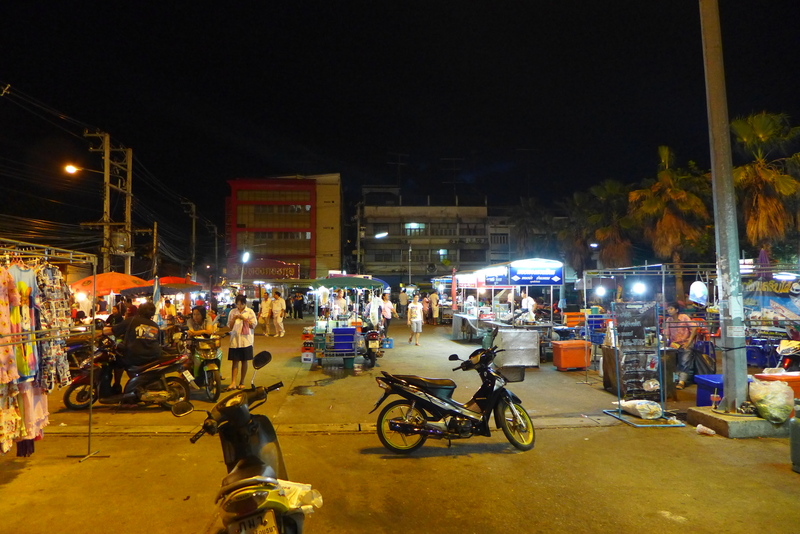 The weather was getting a bit gloomy and sun down was nearing so we decided to end our first day in one of the nearby night markets. Of course, our day will not end by trying some thai milk tea and rice cakes. We headed back to Baan Thai House after. 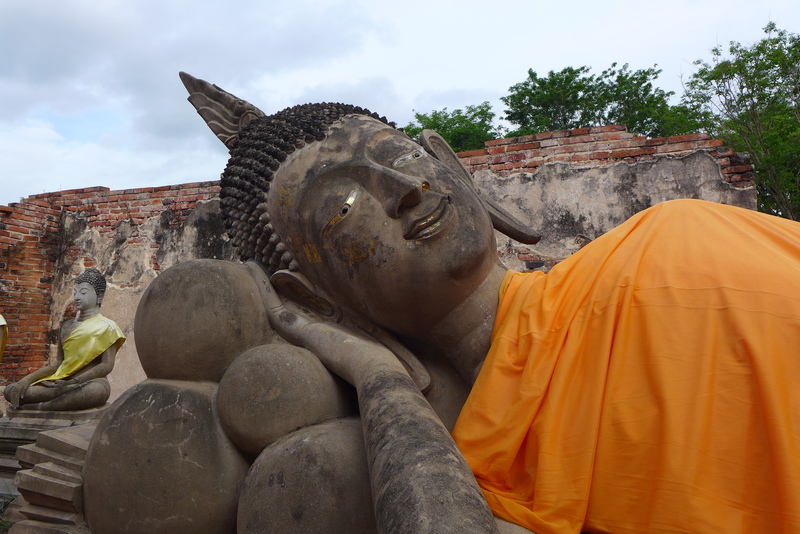 So far, so good for our first day in Ayutthaya. We can’t wait to see what’s in store for us tomorrow!